I am planing to go on a trip around Europe, and wondering if there are any buses (tour bus) or just any regular buses that go along the A7 motorway in the Netherlands (noord-holland). I really love to see Afsluitdijk in person just to experience its sheer size. I am planning to go from Amsterdam -> Germany (Cologne) -> Luxembourg -> Switzerland -> and continuing south. So if there is a way where I can go to Germany via the A7 that would be great. According to a Dutch public transportation website, there is a regular bus. It is the Qliner 350 and is operated by Arriva. According to the website of the operator, a day-ticket valid on this line costs 15 €. This includes the complete trip from Alkmaar to Leeuwarden (and vice versa). The first stop after the Afsluitdijk is Bolsward (which is one of the stops for the Eleven City Tour). If you only want to take a part of this trip, you'll pay less than 15 € if you use an OV-chipcard. A good way for those that really want to see the dike is to take the bus and get off at the monument stop to catch the next service an hour later (till 8 PM now, check when you plan your journey.) Alternatively, travel to either end and walk onto the dike. You could rent a bicycle to ride onto the dike for a short distance, (see below)¹. The bike lane is just above road level on the side of the higher dike and a bit protected from the worst winds but is known to be windy anyhow. ¹I do not find bike rental places close to those busstops, but you could google for the bike shops and ask if they have a second hand bike you can rent for the day. Many bike shops do some rentals even when they do not advertise the fact. 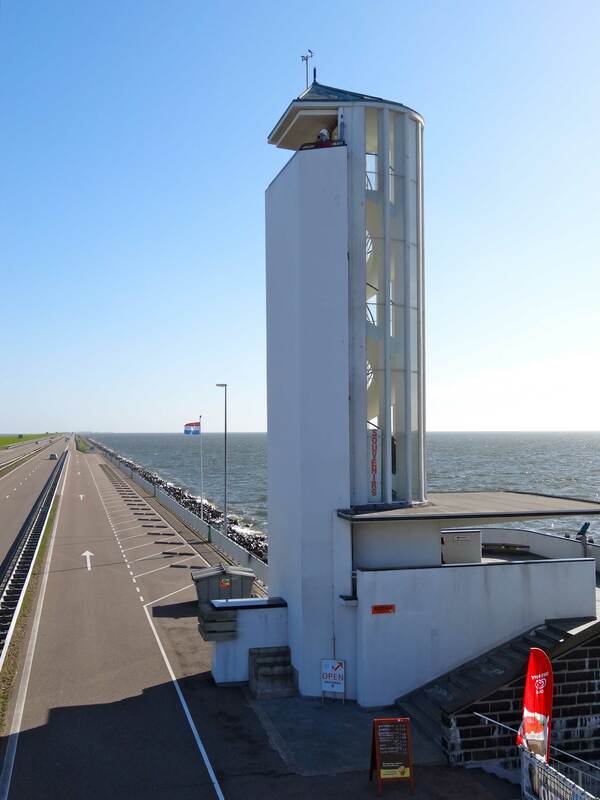 There are several tours advertized that include the afsluitdijk, but as the English language users are not happy with that word they do not all include the name in title or description, often they use a translation but I have seen different ones, one of which is 'Enclosure dike'. The better search word to look for might well be 'Friesland' or 'Frisia', the province at one end of the dike, the one Amsterdam is not in. Most tours that include both Friesland and Amsterdam and go a full circle will use the long dike one direction and go south of the water (old land or polders) the other way. Not the answer you're looking for? Browse other questions tagged europe public-transport amsterdam netherlands or ask your own question.